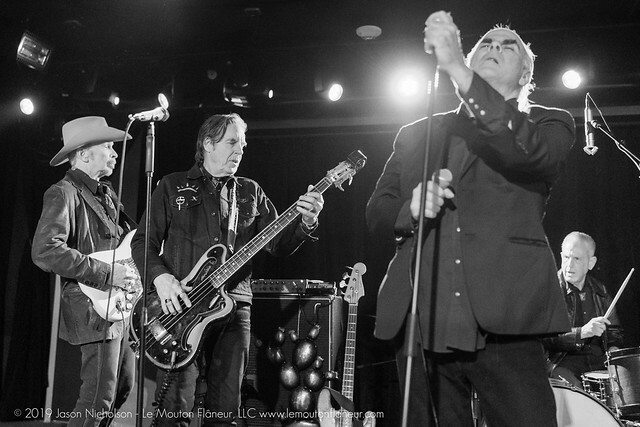 Posted on 03/19/2019 by Mark Engleson	in Live Review and tagged Chris D., Dave Alvin, Jason Nicholson, John Doe, Los Angeles, punk, Steve Berlin, The Flesh Eaters, Union Stage. For a punk band, it might seem strange to speak of the almost-reverential attitude of their fans. 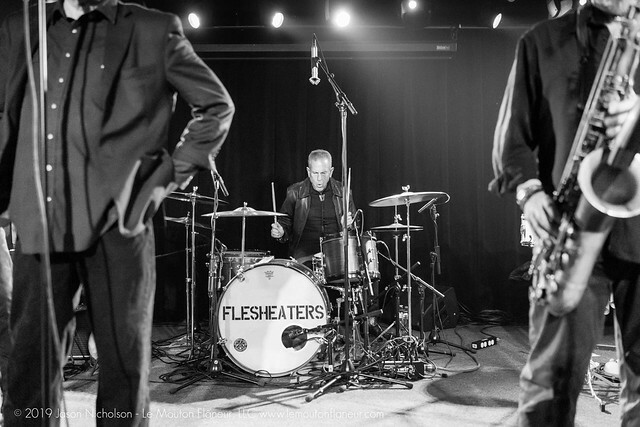 But The Flesh Eaters were never a typical punk band, even in their younger days. 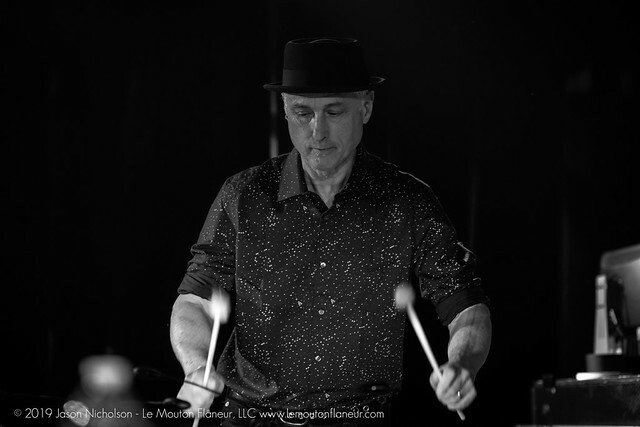 Their tracks were always longer, with songwriter and lead vocalist Chris D. (Desjardins) drawing from influences in beat poetry and genre cinema, such as noir, Westerns, and horror. 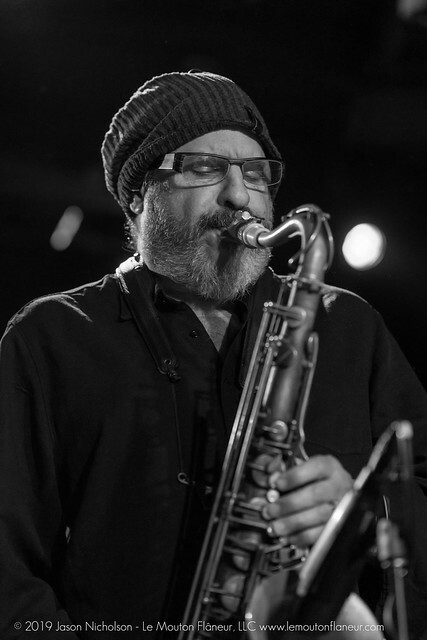 He drew on those influences again in a rare DC show at Union Stage recently. 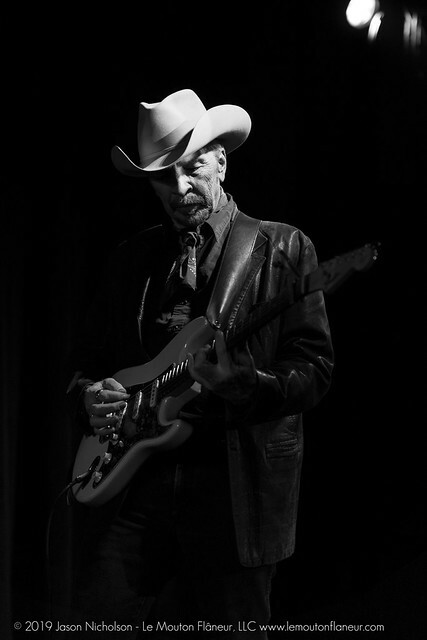 On their classic A Minute to Pray, A Second to Die, Dave Alvin’s (formerly of the Blasters) lead guitar and Steve Berlin’s (currently of Los Lobos) saxophone gave The Flesh Eaters a roots-inflected sound that married rockabilly and blues to the stripped-down aesthetic of punk rock. 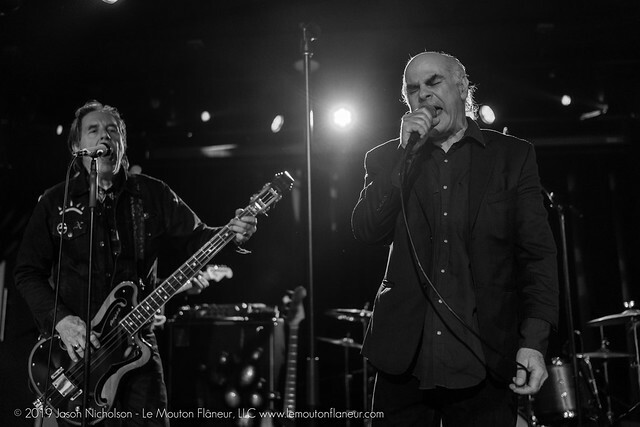 This January, The Flesh Eaters released a new album, I Used to Be Pretty, that reunited the classic lineup from A Minute to Pray. 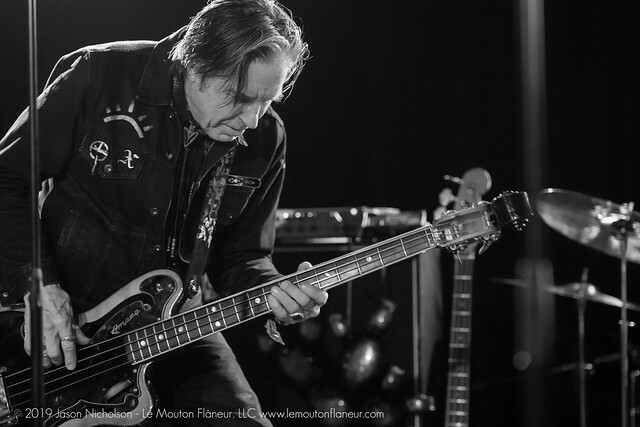 In addition to Chris, Dave, and Steve, the band includes John Doe (bass) and DJ Bonebrake (marimbas) of X along with drummer Bill Bateman (formerly of the Blasters). While this lineup came together in 2006 for a handful of shows, their engagement at the Union Stage on March 16 marked the first time the band, in any configuration, appeared on the East Coast. 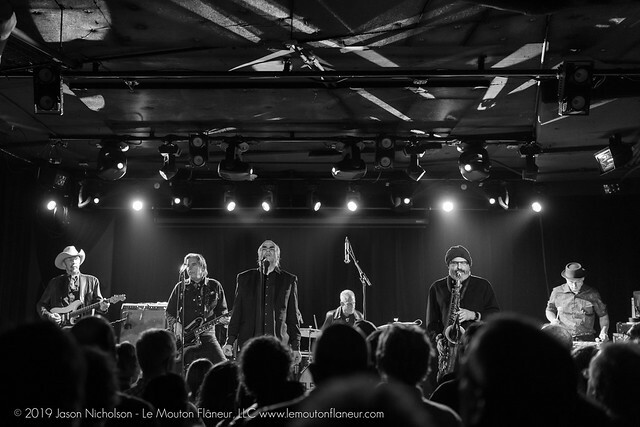 Chris D. remarked that it may be the only time the band plays this market, and that their upcoming show at the Bowery Ballroom in New York would likely mark their final East Coast appearance. 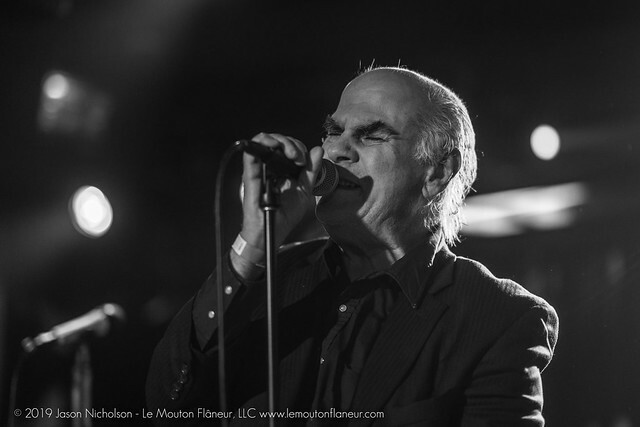 The Flesh Eaters played at just the right volume — loud but not so loud you couldn’t clearly make sense of Chris D.’s lyrics. Their tech did excellent work in the booth, and the band sounded terrific. As much as the crowd in attendance had listened to these veterans over the years, they were deeply impressed by the evening’s display of skill. Because of old injuries, I rarely attend shows that require me to stand, but this concert was worth it. Punk can indeed be beautiful. The band kicked off their set with a couple songs off of A Minute to Pray, including “Welcome to the Boneyard” and “Pray til You Sweat.” The gents later revisited the album, playing “Satan’s Stomp,” “So Long,” and “Cyrano de Berger’s Back.” They originally released the next song, “House Amid the Thickets,” on 1999’s The Ashes of Time, but they recorded it again for the new album. 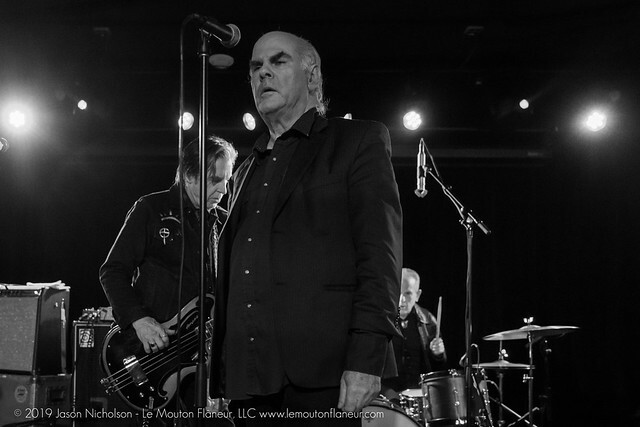 The Flesh Eaters played several original songs from I Used to Be Pretty: “Cinderella,” “Black Temptation,” “My Life to Live,” and “Wedding Dice,” which originally appeared on 1982’s Forever Came Today. 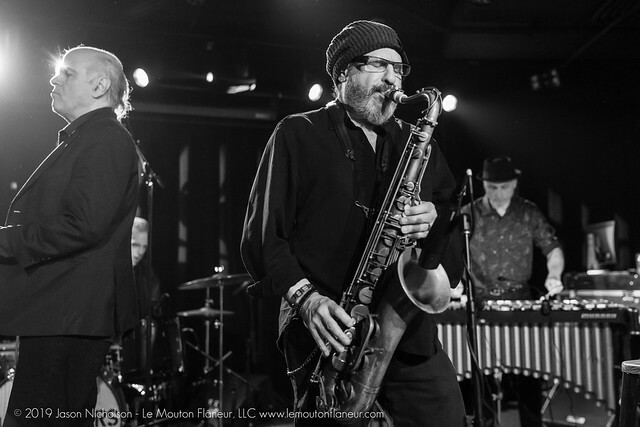 “Pony Dress,” another rerecorded song, actually predates the classic 1981 lineup, appearing on the first Flesh Eaters album, 1980’s No Question Asked. The band ended their set with “Miss Muerte,” the title track of a 2004 album, which was also recorded for the new album. Amidst an uninterrupted round of applause, The Flesh Eaters returned to the stage for an encore performance of “Heroin” and the epic conclusion to I Used to Be Pretty, “Ghost Cave Lament.” After making their appreciation known, the very happy crowd headed out, passing by the visiting guitarist of Soundgarden, Kim Thayil, who was chatting with Greg Norton, bassist for opening act Porcupine (and formerly of Husker Du). What a night! 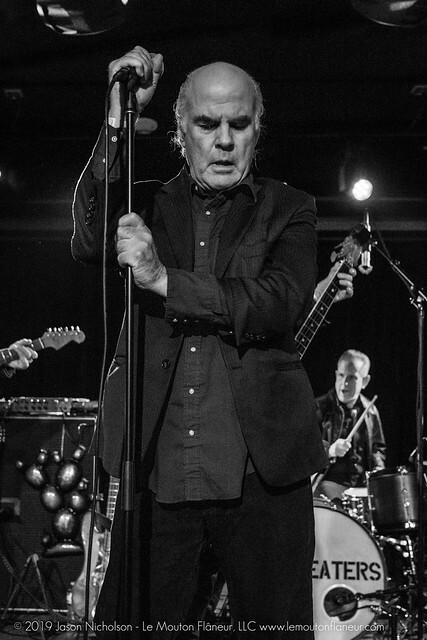 Here are some photos of The Flesh Eaters performing at Union Stage on March 16, 2019. 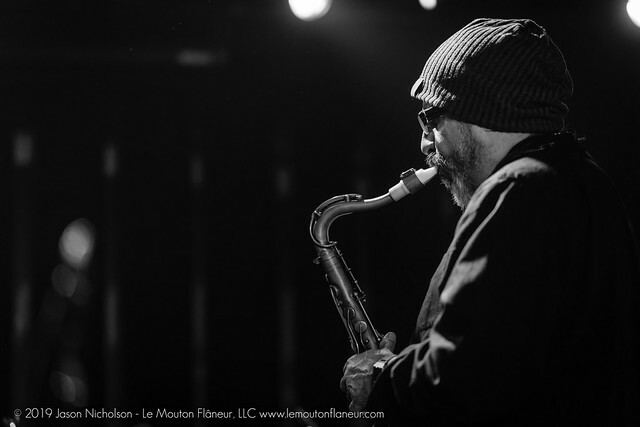 All pictures copyright and courtesy of Jason Nicholson.